Search Coles Crossing homes in Cypress, Tx. 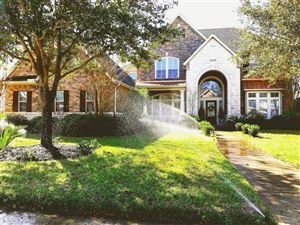 Coles Crossing is a master planned community in Cypress Texas. It is best known for its well known and desired Elementary school, Sampson. Coles Crossing has several miles of walking trails, tennis courts, 2 swimming pools and a few fishing ponds to enjoy. Coles Crossing is a great neighborhood with Sampson Elementary, Spillane Middle Schools, and CyWoods High Schools providing our children with a quality CyFair education. I should know, my children attend these Schools. Most single family homes range between $175,000.00 and $400,000.00, but there are a few exceptions. Several people have moved into smaller or larger homes within Coles Crossing because they enjoy the people, the schools, and the community so much. Please review the homes below, note their MLS number and call me at 713-443-5911. We will then schedule a time we can view your chosen homes and discuss your plans. If you are looking to lease a home, most homes rent quickly so you should be ready to move within 30 days. There are a number of newer Apartment Complexes in the Cypress area but very few that are part of Coles Crossing. Coles Crossing has many amenities including a walking/running trail that meanders through the neighborhood connecting the Pool area with several Parks and Tennis Courts. We would like to help you with your Real Estate needs. Jim (JR) Regan can help you find the perfect home to buy or lease. You will receive the best in Real Estate Services. When selling your home we market to hundreds of Real Estate websites, Har.com the Houston MLS, and have frequent Open Houses. We first assist in Staging your home with ideas to prepare your home ready for a quick sale. Call Jim (JR) Regan at 713-443-5911 with any questions.